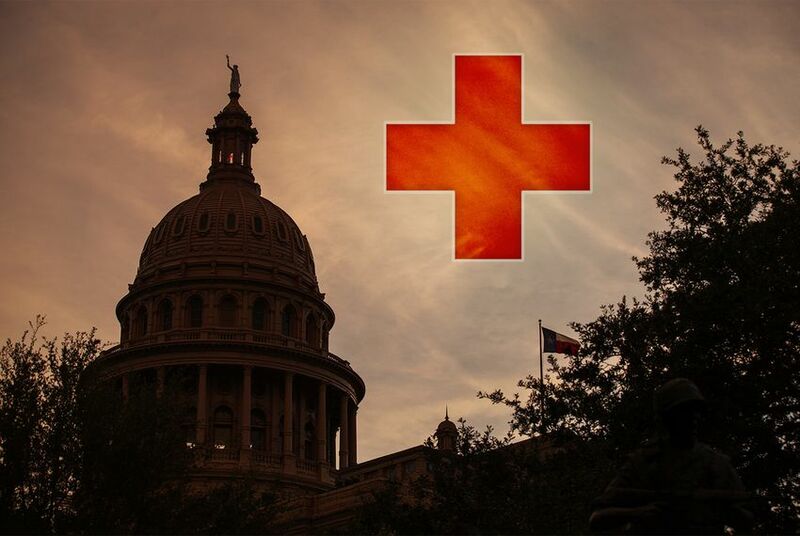 Texans think the Legislature needs to step up its efforts to increase health care spending, lower costs and help more people access services, according to a poll released Thursday. Respondents to the poll, conducted by the Episcopal Health Foundation and the Kaiser Family Foundation, said the Legislature’s top three priorities should be lowering the cost of health care, reducing the number of women dying after childbirth and lowering the cost of prescription drugs. “When it comes to priorities and views on health care ... Texas looks very much like the nation overall,” said Liz Hamel, director of public opinion and survey research for the Kaiser Family Foundation, a nonprofit health policy group based in Washington, D.C. The poll surveyed 1,367 adults living in Texas and has a margin of error of +/-3 percentage points. Texans polled were adamant about the Legislature prioritizing health care in the state budget, with 54 percent saying they favor increased spending on health care programs. That still fell behind the number of Texans who wanted to see more spending on public education, infrastructure and public safety. In addition, 67 percent of respondents said they wanted to see the Legislature have a major role on health care, compared to the 54 percent who preferred the federal government to be more involved. Currently, Texas has the highest uninsured rate in the country at 21 percent, according to the Kaiser Family Foundation — almost double the national average of 12 percent. But the poll found that many Texans don’t realize how high the state’s uninsured rate is, with 34 percent saying it was at the national average and another 16 percent saying they didn’t know. The poll comes just months ahead of the 2019 Legislative session, where a tight budget and Hurricane Harvey recovery efforts will likely dominate legislators’ attention. It also comes amid ongoing tension in Washington over the fate of President Barack Obama's signature health law, the Affordable Care Act. Just last week, the U.S. Department of Justice issued a brief supporting a suit against the law filed by Texas Attorney General Ken Paxton and 19 other states. Multiple efforts by members of Congress to repeal the law in 2017 failed, with federal lawmakers unable to agree on bills that would have done away with the individual mandate, the employer mandate and so-called essential health benefits that insurance plans have to provide, such as preventive screenings, emergency room visits, maternal and newborn care and lab tests. Responses to the poll show Texans are still divided about the federal health law. Just 48 percent polled viewed the law favorably and 47 percent unfavorably. That’s on par with a recent Kaiser Health Tracking poll that found that 49 percent of U.S. adults have a favorable view of the law and 42 percent view it unfavorably. The poll also found that 64 percent of Texans believe low-income adults are being left behind in the health care system, and roughly the same number said the state should expand Medicaid eligibility for an estimated 1.1 million low-income Texans. But expanding the joint federal-state health insurance program for the poor and disabled is likely dead on arrival in the Texas Legislature — Republican leaders, including Gov. Greg Abbott, Lt. Gov. Dan Patrick and former Gov. Rick Perry, have argued that expanding Medicaid would increase health care costs for the state — especially if the federal government ever breaks its promise to help pay for the surge of newly eligible people. Texas is one of 17 states that have not expanded the program. Elena Marks, president and CEO of the Episcopal Health Foundation, said that under the Trump administration there’s more leeway for Texas officials to create their own version of what Medicaid expansion could look like and how the Affordable Care Act can work for the state. Retired pediatric cardiologist Dr. Deane Waldman, director of the Center for Healthcare Policy at the conservative Texas Public Policy Foundation, expressed consternation at the idea of any federal involvement in the state's health care system. He added that increasing Medicaid coverage would actually decrease the number of Texans with access to health care by diverting resources away from care and into administration. “Whether it’s our own eligibility, our own verification, benefits packages that have more patient choice in them, all these ways to lower cost and improve consumer choices, we could do if at the state level if we simply got out from under Washington,” Waldman said. Disclosure: The Episcopal Health Foundation, the Kaiser Family Foundation, the Texas Public Policy Foundation and Elena Marks have been financial supporters of The Texas Tribune, a nonprofit, nonpartisan news organization that is funded in part by donations from members, foundations and corporate sponsors. Financial supporters play no role in the Tribune's journalism. Find a complete list of them here. Additional reporting by Matthew Choi.